Are You Searching For Help Dealing With Cancer? Cancer Free University and Its Over 75 Experts Are Just A Few Clicks Away. Your One-Stop RESOURCE for cutting edge cancer testing, early detection options, unique treatments, healing therapies, and proven prevention strategies. All for about the cost of a visit with one cancer expert. 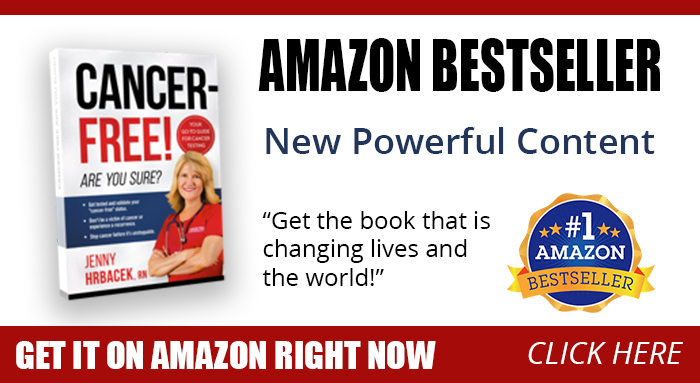 Learn the truth about cancer, specifically about cancer stem cells and how these tiny cells are the driving force behind cancer and what you can do to eradicate them. Discover that cancer can be detected years before you would ever have symptoms or discover a lump. Then, learn how to heal without the need for chemotherapy, surgery or radiation. Hear about special tests that can identify new targeted therapies that can save your life – And much MORE! Are You Looking For Cutting Edge Health and Wellness Information That Works? Join Jenny on social media and get up-to-date and relevant information. Every week, Jenny has a facebook live show in which here and a guest talk about how you can live a healthier life and prevent disease.